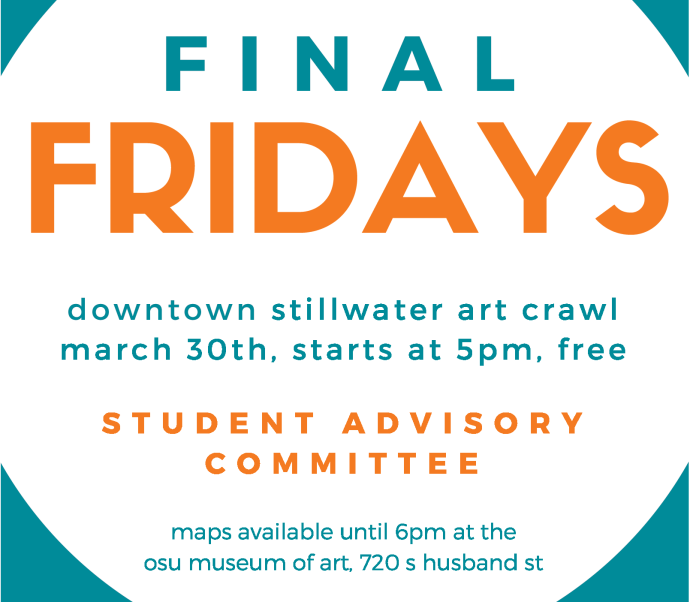 (STILLWATER, Oklahoma / March 28, 2018) — The OSU Museum of Art Student Advisory Committee invites all university students to enjoy downtown Stillwater’s growing local business and art scene in the first-ever Final Friday Art Crawl. Beginning at 5 pm on March 30, students will have the opportunity to experience live music, art galleries, studios, and more. Although the Art Crawl will not follow a structured schedule, the OSU Museum of Art is suggested as a starting point for picking up a map and viewing the exhibitions before it closes at 6 pm. Other locations to explore throughout the evening include the newly opened Observations exhibition at Modella Art Gallery, live music at both Simplicity & Co. and Zannotti’s, and a selection of downtown restaurants and retailers with evening hours. 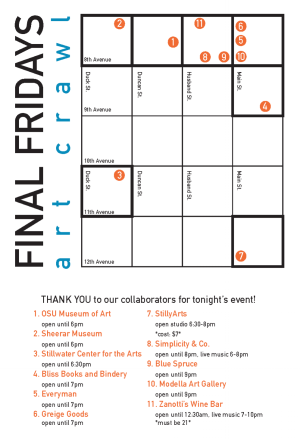 The committee hopes this Art Crawl will be the first in a series of monthly Final Friday events that encourage student and community engagement throughout the emerging Downtown Stillwater Cultural District. museum.okstate.edu/events for each meeting location. 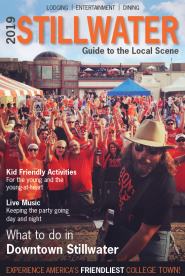 For more information, contact Audrey Gleason at Audrey.Gleason@okstate.edu or join the next meeting on April 5, 2018, at the museum.